We are a computational and systems pathology company applying our proprietary explainable AI (xAI) technologies to analyze whole slide images based on spatial analytics. Our mission is to develop tools that will improve the accuracy and efficiency of pathologists and to generate predictive data to optimize patient outcomes. Co-founded by a group of leading pathologists, computer scientists, and biotechnologists, SpIntellx is generating real-world evidence based on spatial analytics for pathology and biopharma companies. Dr. Chennubhotla is currently an Associate Professor in the Department of Computational and Systems Biology at the University of Pittsburgh. Dr Chennubhotla leads the campus-wide effort in computational systems pathology at Pitt, with active participation of collaborators from both academia and industry. His group's primary research focus is in building machine learning and systems biology algorithms to discover the mechanistic basis of disease progression (metastasis) from in-situ imaging data. Chakra moved from industry to academia to pursue his Ph.D. at the University of Toronto in the Department of Computer Science, specializing in computer vision and machine learning for high-dimensional perceptual data. 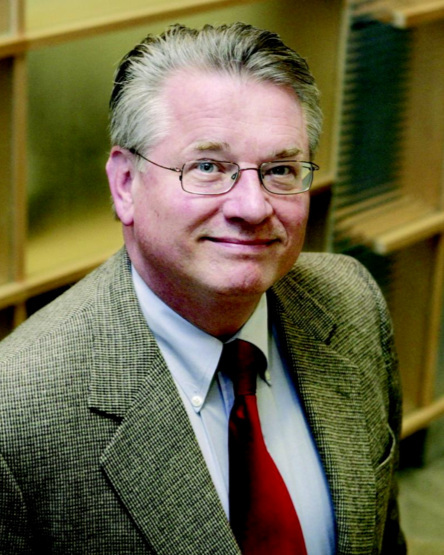 Dr. Taylor is currently the Director of the University of Pittsburgh Drug Discovery Institute managing the collaborative programs involving clinicians, biomedical scientists, chemists, engineers and computer scientists / systems biologists at Pitt, Carnegie Mellon University, the University of Pittsburgh Medical Center (UPMC), as well as external collaborators from academia, Federal Agencies and industry. Previously, Lans was Co-Founder and CEO of Cellomics Inc., which developed and commercialized High Content Screening (HCS) that permitted single cell quantitation of multiplexed fluorescence biomarkers in arrays of cells and tissues. In addition to Cellomics, Dr. Taylor co-founded several other biotech companies, such as Biological Detection Systems, Inc. and Cernostics, Inc., and is an expert in multiplexed fluorescence and biomarker imaging. Dr. Becich is currently the Chairman of the University of Pittsburgh Department of Biomedical Informatics. He co-founded the Association for Pathology Informatics and was the inaugural course director of the Pathology Informatics Summit. He is Associate Vice-Chancellor for Informatics for the Health Sciences and co-directs the Center for Commercial Applications of Healthcare Data as part of the Pittsburgh Health Data Alliance in partnership with UPMC Enterprises. Previously, Mike was co-founder of Tissue Informatics and InterScope Technologies. He has been an innovator in bioinformatics, imaging and tissue banking informatics and data sharing. Dr. Becich is currently consultant to several academic health systems, cancer centers and biotech companies. Dr. Tosun is currently the Lead Engineer for SpIntellx’s proprietary software HistoMapr and the PI of NSF SBIR Phase I grant for HistoMapr. He has been working in the field of computational pathology since 2006, starting with his Ph.D. work at Bilkent University, Turkey, in unsupervised segmentation of colon cancer histopathological images. As a postdoctoral researcher at the Center for Bioimage Informatics, Carnegie-Mellon University, he continued his computational pathology work in the: (i) diagnosis of thyroid follicular lesions from nuclear morphology, (ii) detection of malignant mesothelioma from effusion cytology specimens, and (iii) automated quantitative prognosis for acinar dropout after experimental pancreatitis. He then joined University of Pittsburgh, and was promoted to be a Research Assistant Professor, to work on computational pathology in the NIH BD2K funded effort: Center for Causal Discovery. His research focus was on defining context aware features to represent lung tissue images, to detect spatial architectural patterns that will help differentiate between normal and diseased tissue regions from whole slide images, as well as connect these patterns to genomic features to better understand the underlying disease mechanisms.